With the benefit of many years of industry experience, the team explores what schools can be doing to ensure they have the best people in place to maximise productivity and guarantee success. In any strong organisation there is always conversation about how the leaders can maximise productivity and have the greatest impact on the organisation’s success. In a school it is often particularly noticeable if the senior team is not functioning effectively and this can be an issue that is hard to resolve, particularly if some members of the team are deeply entrenched in their views. When you see a vibrant, busy, happy school where the pupils work hard and take advantage of all the other opportunities, and the staff are enthusiastic and forward thinking, it is almost guaranteed that in the background there is a high-performing senior team. Jenny Dwyer, Partner in Saxton Bampfylde’s Schools practice, explains: “As a Head, the times when my school was most successful were the times when the synergy of the senior team was most positive, but also where the team had a diversity of leadership styles and a real understanding of their individual roles within the organisation. At Saxton Bampfylde, we have the privilege of getting to know schools well: how they tick and what their key challenges and opportunities are. 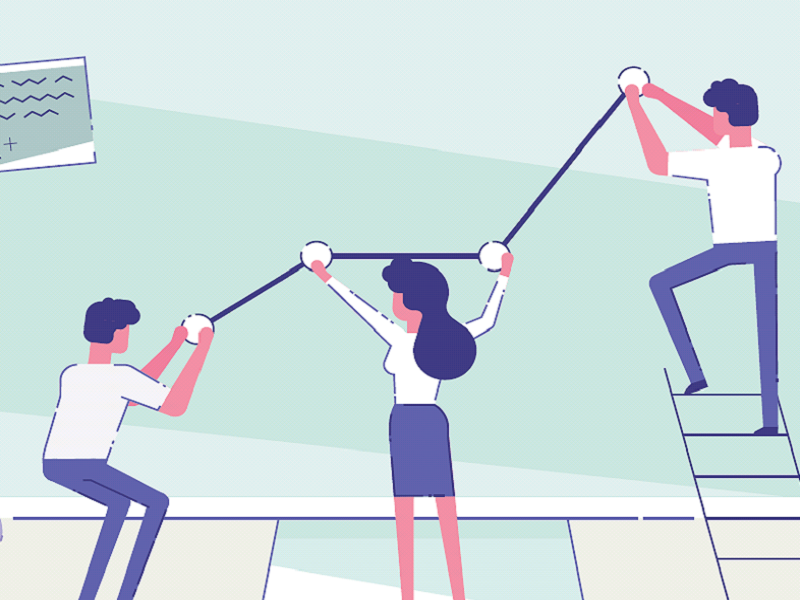 Working with Psychologists who can provide individual feedback and insight to colleagues, while using their collective knowledge to challenge and shape the way teams work, can be invaluable. It can be a breath of fresh air for the team and can give people permission to work differently. An independent review of a Head or Principal can be a positive experience for all involved. It can be an opportunity to conduct an insightful and objective view of both current strengths and development opportunities. The aim is a productive experience that enables insight, development and engagement, rather than a tick box exercise. Cassandra Woolgar, Business Psychologist and member of Saxton Bampfylde’s Leadership Services team says: “A review should delve into behaviours and tendencies of the Head: how do they go about building and maintaining relationships; their approach to their work; their leadership skills and their reactions under pressure? These and many more characteristics can be explored through psychometric questionnaires and are often further enhanced through discussions with Psychologist. “It is also important to consider perceptions of the Head, including those of the senior leadership team, teaching staff, support staff, Governors and other key stakeholders. Comparing responses between groups can highlight key areas in which to focus work. These elements should all be brought together with clear but challenging reports, and a thorough feedback session for the Head to understand the results, think about the implications and identify keys areas for focus. An effective educational organisation needs to match its hierarchy and role requirements of its senior staff to the complexity of the business of education and its operating environment. When staff operating at each level are matched to the capabilities required, the organisation and its people achieve their full potential. “Our assessment approach is underpinned by Elliot Jacques’ Stratified Systems Theory” explains Gareth Jones, Chartered Occupational Psychologist at Saxton Bampfylde. “As job roles transition from service delivery to being more future focused and influencing at a systemic level, there is a related increase in the time taken for an individual’s decisions to have an impact. Additionally, their dominant work themes also shift from a focus on quality to best practice, then to having more strategic intent and influencing corporate direction. Being identified as having the potential to take on a more senior role does not always guarantee success. Self-awareness of personal development needs an appreciation of the operating environment, including the motivation and capability of the inherited team, and their key stakeholders e.g. governing bodies are critical. This transition can often be smoothed, through on-boarding guidance from Occupational Psychologists. As part of the trust and relationship building with new teams for newly appointed Heads or those experiencing difficulties, senior team development sessions can also be extremely beneficial. These utilise psychometrics to establish shared awareness of the group’s dynamics and team culture. This can be particularly helpful where teams are forming or undergoing change. It can help to generate a safe environment in which differences can be aired and addressed. No matter how thorough a school’s internal processes are for staff appraisal, the Head, despite being in the most demanding and isolated role, is invariably the person who has the least structured and objective personal appraisal process. This partly reflects their often less well-defined professional accountability to their Chair of Governors. Many schools choose to employ a third party such as Saxton Bampfylde to facilitate independent and objective 3600 appraisal processes for their Heads, which ensures fairness and anonymity both inside the school and amongst the governing body. This process also draws together insights from a wide range of internal and external stakeholders. The quality of the relationship between a governing body and the Head are critical to a school’s success. Having the requisite skills within the governing team to execute its responsibilities alongside the soft skills needed to effectively work as a group is essential. Our board review process provides quality assurance that the non-executive team both has the technical knowledge and capability to fulfill its governance responsibilities adequately, and that it works effectively as a team, while appropriately holding to account and supporting the Head and their senior team in the execution of their responsibilities as and when needed. If you are interested in hearing more about how we work in partnership schools through our leadership services, get in touch with our team.